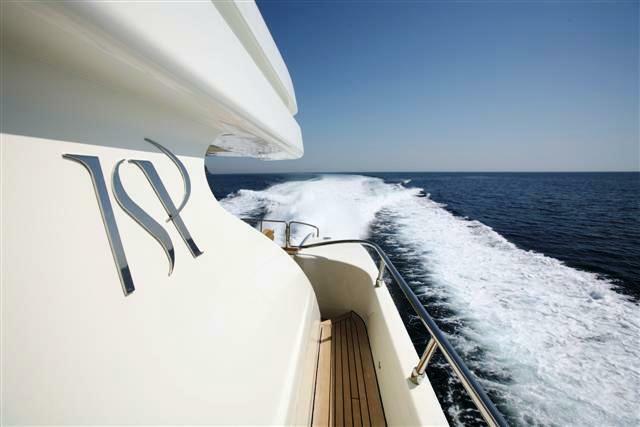 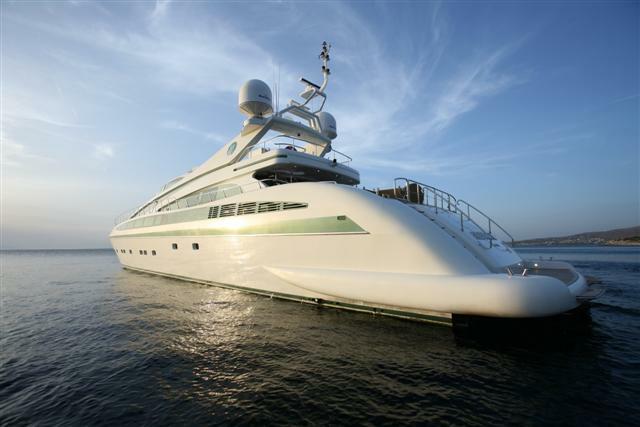 Luxury motor yacht AXIA XII is an ISA 133 (40m) which was launched in 2005. 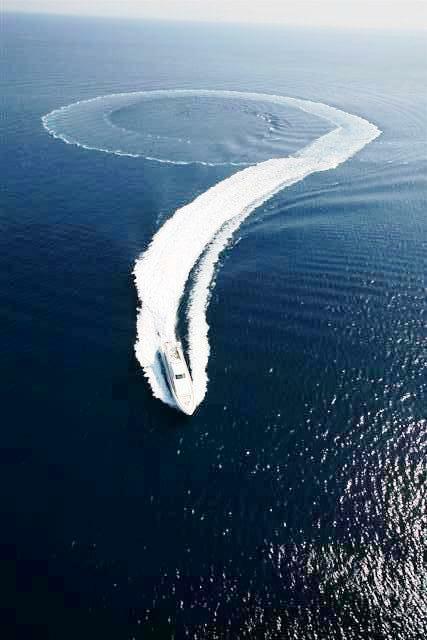 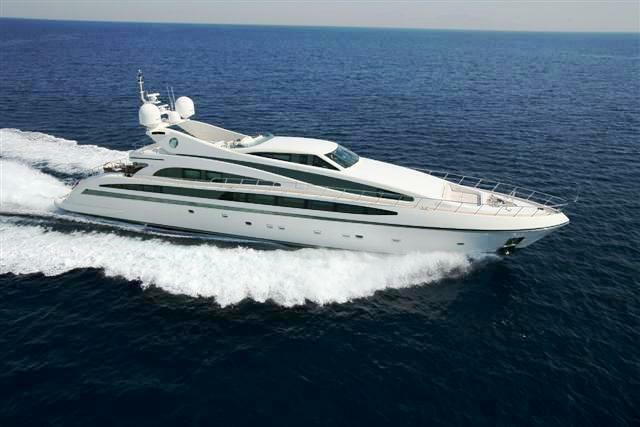 She can cruise at 26 knots, getting you from beach to harbour in a minimum amount of time with a minimum amount of fuss. 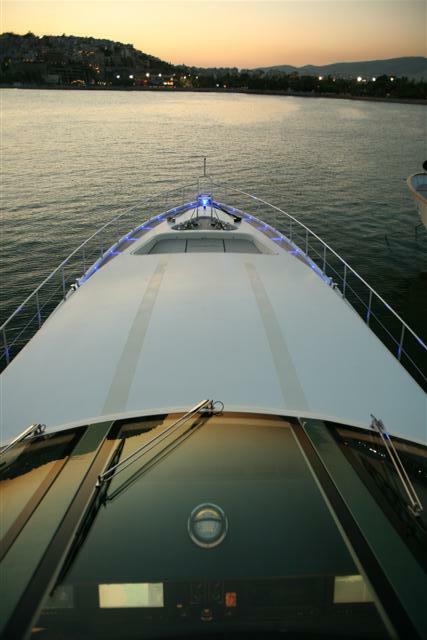 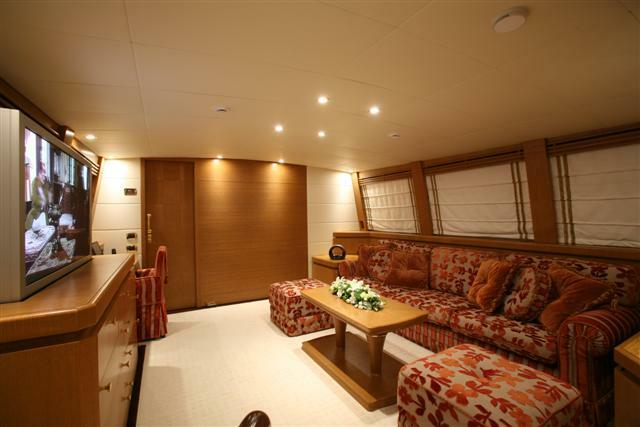 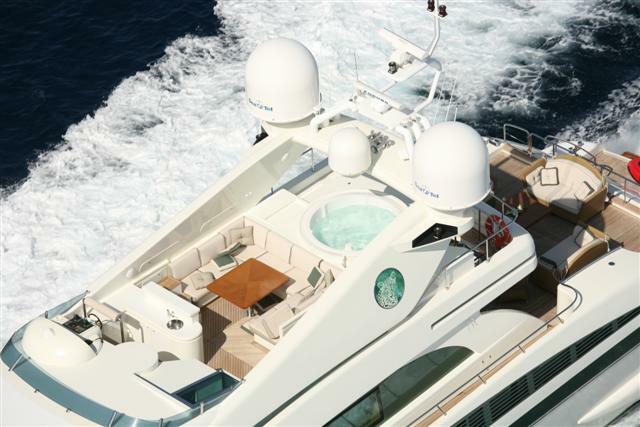 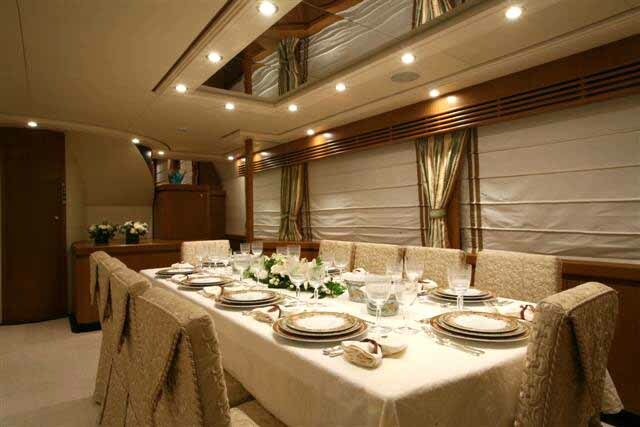 Her Italian design is contemporary and she can accommodate up to 10 guests in complete luxury. 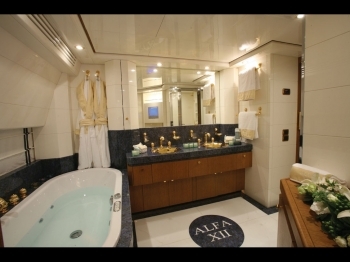 M/Y AXIA XII has a great selection of features and amenities. 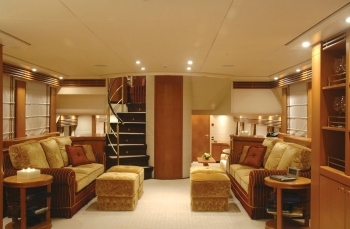 The yachts main salon has access to the upper salon, and to the second salon leading through the master cabin. 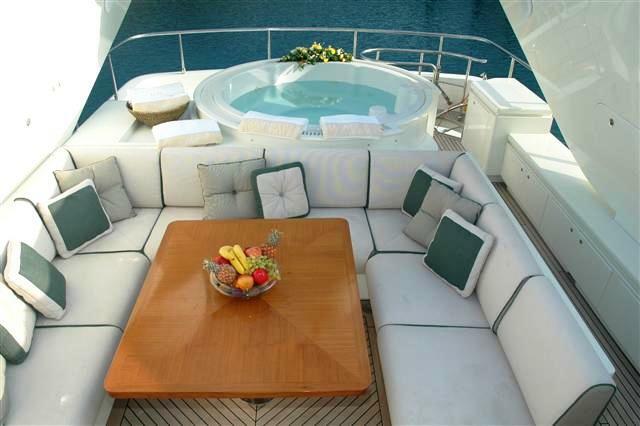 The yachts Sky lounge has a very comfortable lounging area and coffee table with access to sundeck which boasts a Jacuzzi with sun pads , a dining area with removable bimini and pilot station. 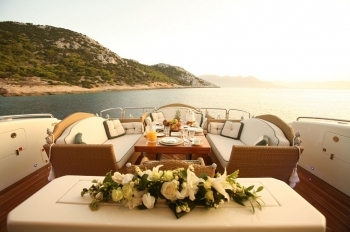 There are additional sun pads on her bow and the yachts aft deck is perfect for enjoying cocktails while stern to at the doc or at anchor in a stunning bay. 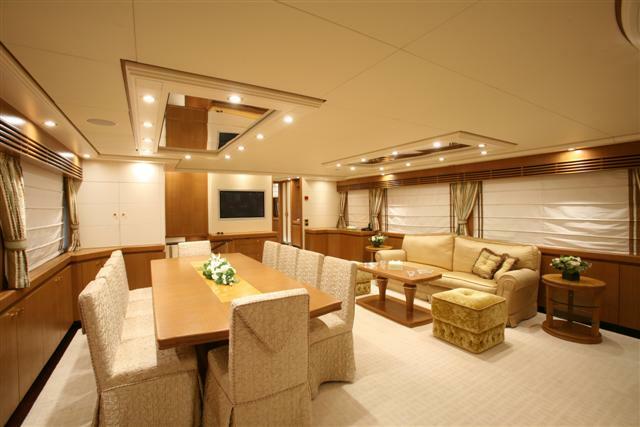 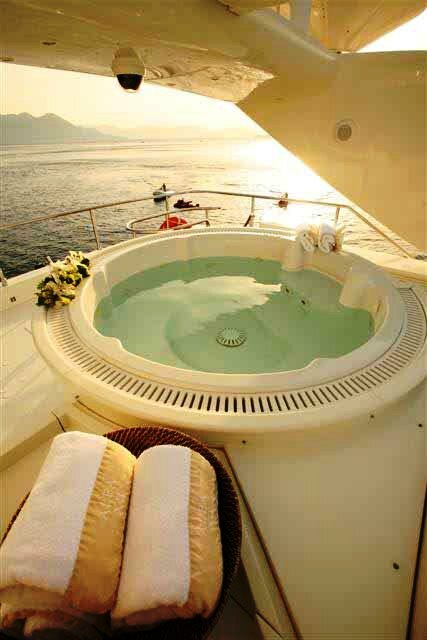 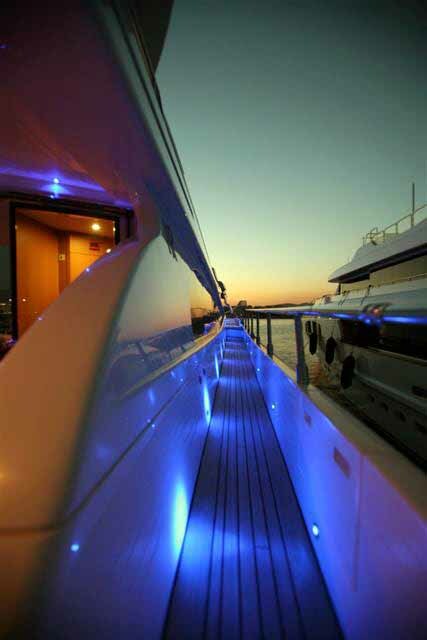 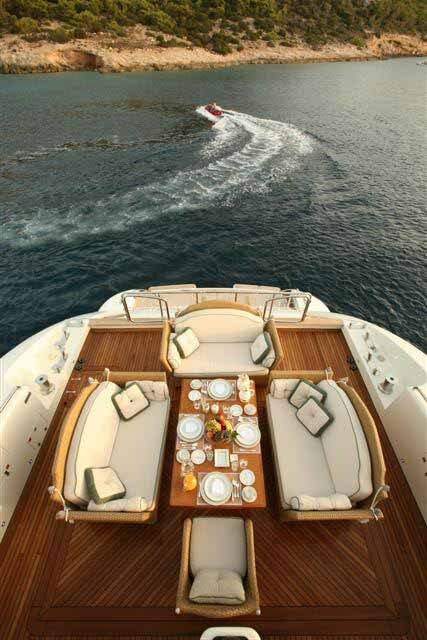 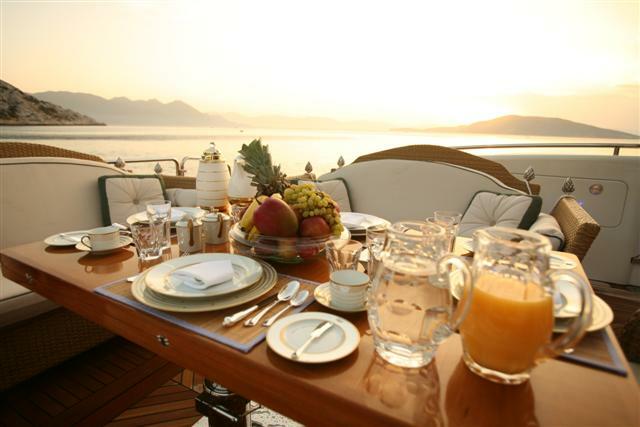 M/Y Alfa XII can accommodate up to 12 guests. 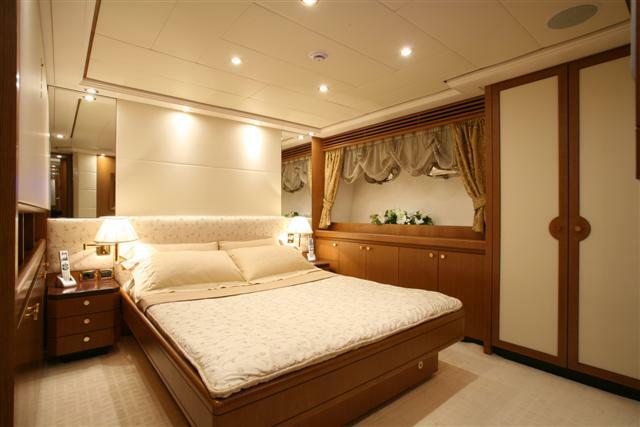 The yachts master stateroom boasts two desks, a walk-in closet, a TV, safe and en suite facilities with a TV in the bathroom. 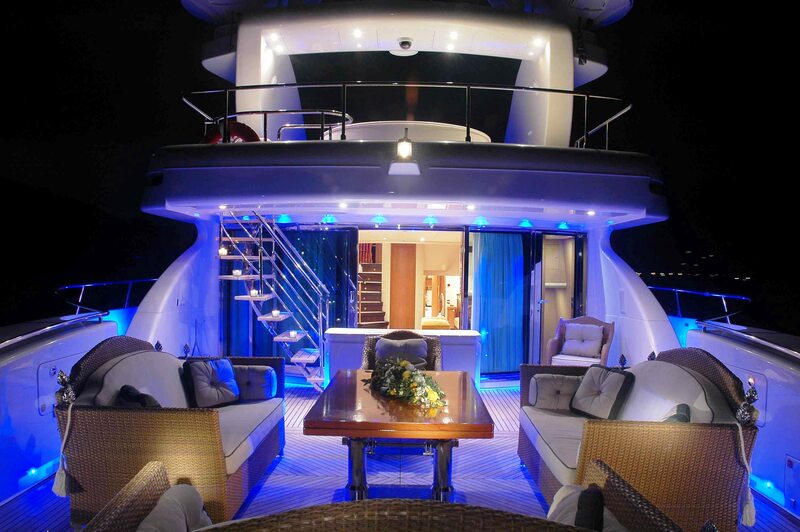 The yachts two V.I.P. 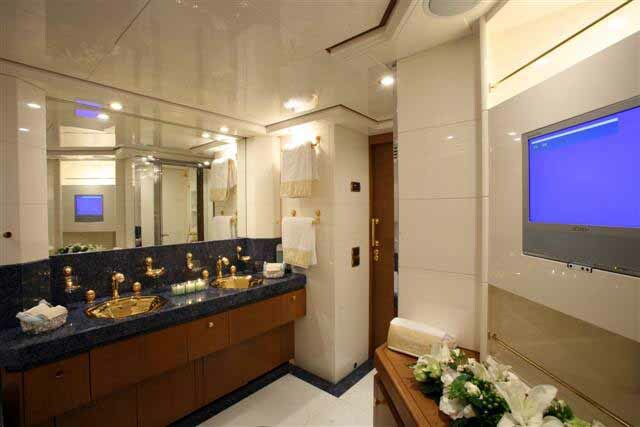 Staterooms, both have Pullman berths, a safe box and en suite facilities. 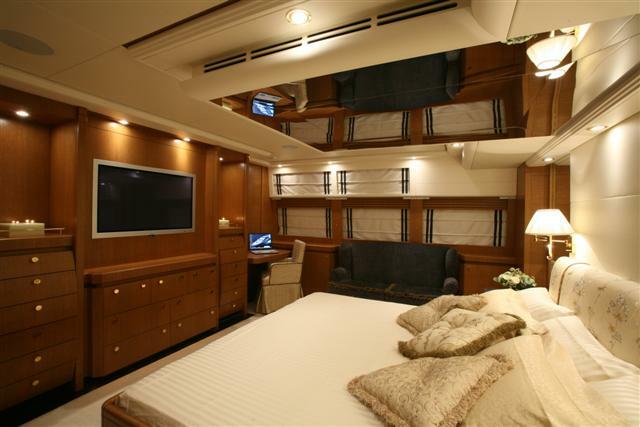 Her two Twin cabins also have Pullman bunks and en suite facilities. 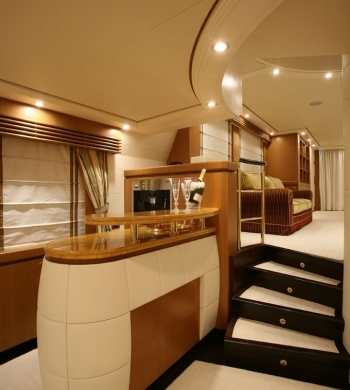 A playroom can be transformed into a double cabin with private bathroom and TV if required. 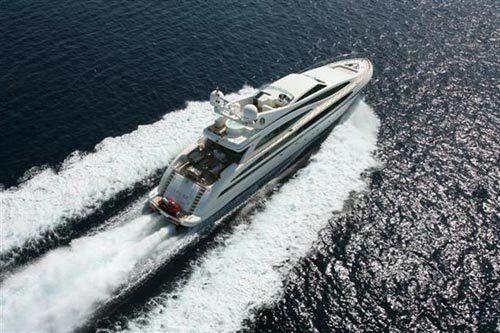 Luxury motor yacht Alfa XII has the following tenders toys and amenities: A 4.5m Jet tender with 1200 cc hp Mercury Jet engine, 2 Wave-runners SEADOO with 900 kw engines, Water ski and mono-ski, Tubes, Fishing equipment, snorkelling gear and Diving equipment and compressor. 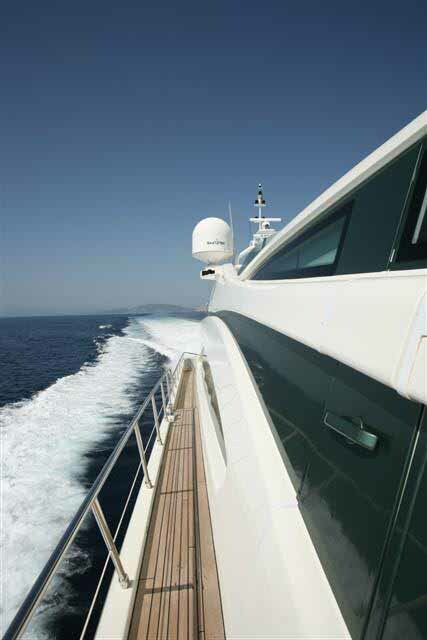 She has independent Air conditioning to all cabins. 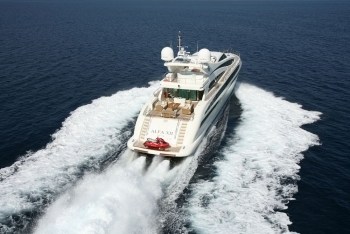 The yachts communications inlcudea Sat TEL/FAX, a furuno radar FAR-2115 BB, a furuno radar FR-1943CBB, a PLATH autopilot NAVIPLOT V/HSG, a furuno network sounder ETR-6/10N, Hydraulic telescopic gang-way – Besenzoni and crane for 550 kls. 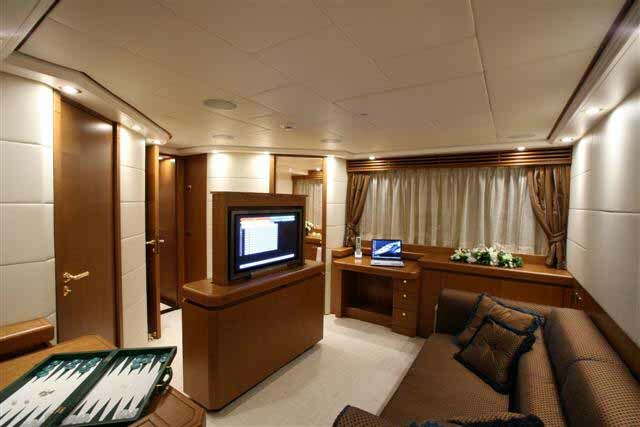 Audio Visual Equipment and Deck Facilities include 15 Plasma TV sets, DVD, CD players, Radio, in all cabins, Internet access 24/24 in all cabins, 5.000 TV worldwide channels, SAT Phone to all cabins, WIFI Internet in all cabins, outside decks, inside areas.